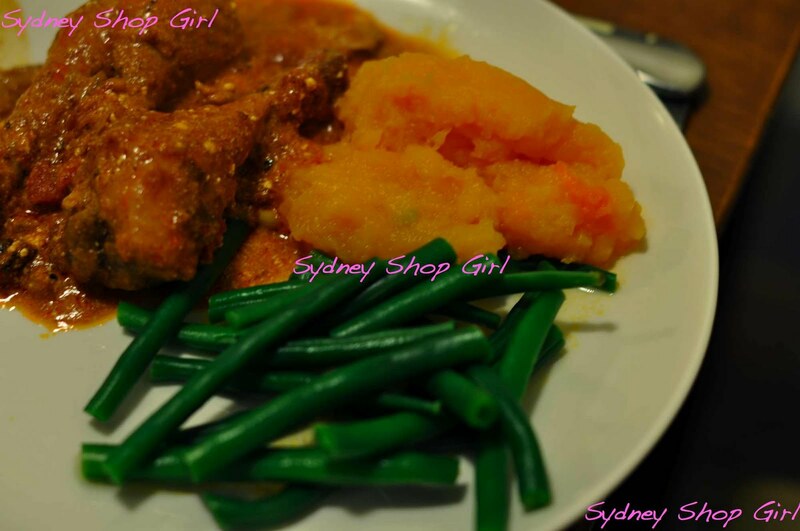 Sydney Shop Girl: Home On A Winter's Night With Mr SSG's Bonds Barbecue. Home On A Winter's Night With Mr SSG's Bonds Barbecue. 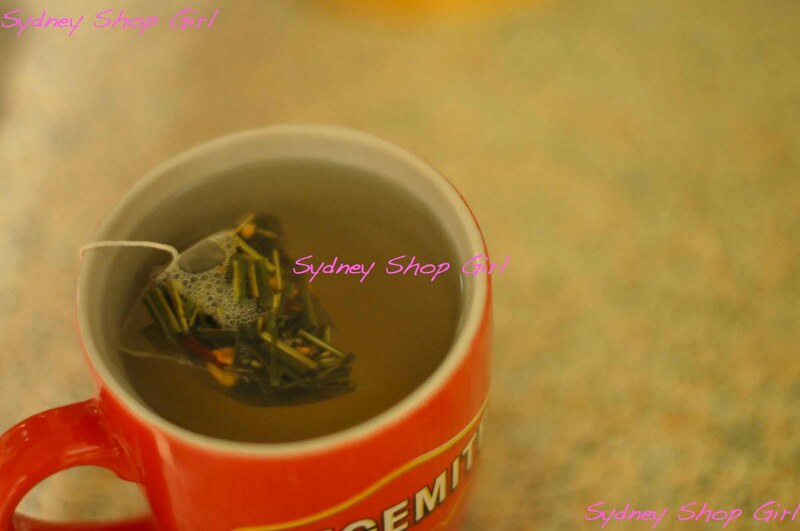 T2 Ginger and Lemongrass and Ginger with honey already dissolved in the water. Herbal is the new caffeine. Did you ever think you'd live to see the day that I wrote those words? Seriously. I think I've replaced my caffeine dependence with Ginger and Lemongrass tea with a swirl of honey dependence. I think it's even usurped a glass of bubbles as my all time favourite indulgent drink. 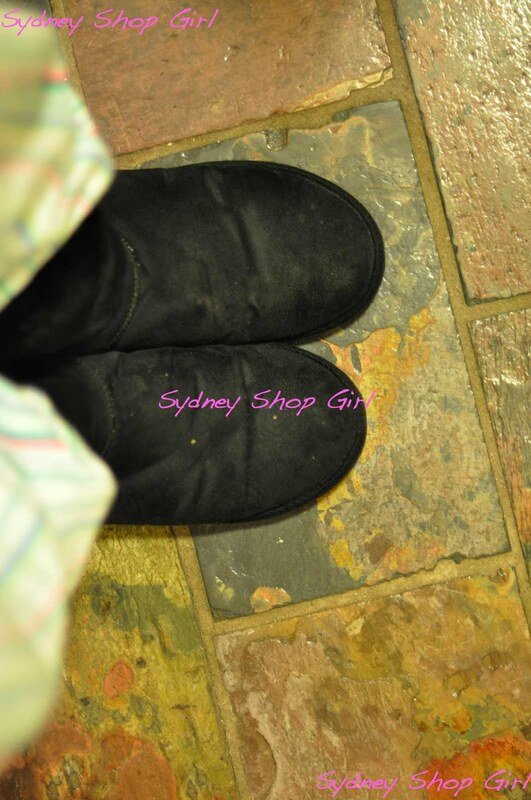 And you can't have a hot cup of herbal tea in the evening without first getting into your ugg boots and flannel pyjamas. It just wouldn't feel right on a wet and windy weeknight. Mr SSG is adapting to winter in his own way too. Instead of firing up the grill plate or barbie, he's set up a Bonds Barbecue in the loungeroom. None of our laundry has gotten anywhere beyond damp this week and we don't have a tumble dryer. So Mr SSG has been improvising with a column heater as a source of heat upon which he rotates the damp bits of the thicker clothes from the wash.
Mr SSG's patented Bonds Barbecue. It's possibly wacky and definitely dangerous but it works. He was a busy man tonight, Mr SSG. He volunteered to be in charge of dinner tonight so I'm leaving him to cut the broccoli just the way he likes it - chunks as opposed to florets. Vintage Donna Hay Thai Green Curry in its original freezer friendly takeaway container from Coles. He's also sourced some vintage Donna Hay from the freezer. We're going to be having Green Curry Chicken tonight. I'd forgotten just how good it is. I'm feeling the need to make it again. Well, that's about all I have to say about tonight's dinner. Let's move on to some of the good food from the weekend. 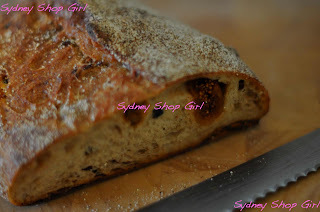 Fig Barberry Sourdough from the Bourke Street Bakery. H bought me a loaf of fig bread from the famed Bourke Street Bakery. I'm a new fan of figs - both as a fruit and as a scent. This bread is very moreish and delicious lightly toasted. Be warned though, it is only baked on Tuesday, Saturday and Sunday. I'm sure there is a logical reason for this. Perhaps there are fig days? 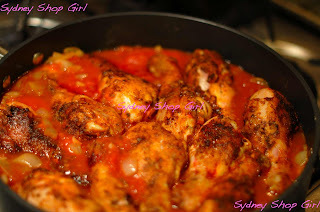 I was inspired by Not Quite Nigella's recent post about Paprika Chicken. Paprika is such a richly coloured and flavoured spice and is perfect for warming things up in winter. I ended up using this recipe from taste.com.au - so easy and so good. I love winter food, don't you? That paprika chicken looks delicious. I adore figs too. So yummy in summer with rocket, bocconcini and basil. Mmmm. errrr I really hope you don't care fire! I'm into figs big time - candles, bread, biscuits. Anything, really, is that much better with figs. I love paprika! I had a look at the recipe on Taste and am definitely going to give it a go. Looks like great winter comfort food. i love figs tooo.. mmmh fig bread. hows the shopping going? I love winter food as well, although it's a bit strange to read about it as it's summer here:) I'm relieved to hear that there is a way out of caffeine addiction, it's just a question of finding the right tea;) And now I feel like making chicken curry for dinner, even if it's summer! I love Bourke Street Bakery Fig bread, yum yum! it's so close to my work, we always get it for a arvo snack. I Get My Zing Back But Blogger Loses It. The Right Thing To Do. Bringing Back the Wave. Contact Lens Caniptions. Cardigans For Uggs. Winter Sun Bake. Souper Sunday. Summer Is Still Here and There. The Scent of Small and Mighty. My First Cannoli. The Bold Use of Colour. Imposter Mi Goreng. A Reader Request and A Thankyou. Under the Influence of Downton. Cars, Checks and Children's Chocolate. 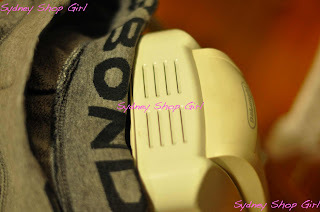 Listography - My Top 5 Decisions I'm Glad I Made. Frugal Food Trippin' On Friday Night.